The Formule Trucks Promotion Company, in partnership with Renault Trucks et BFGoodrich®, reveals at Solutrans trade fair the prototype Fomrule Trucks: a new monotype truck race competition, easily accessible to all and which is going to be a gateway to truck racing competition in France and Europe. The project Formule Trucks is born by the willing of competition and road transport professionals to develop a new type of truck racing competition to offer the chance to everyone to enjoy with a truck race in circuits. Several partners have join their expertise in this project achievement. Race trucks will be prepared on the base of a Renault T truck, that means that only drivers will make the difference. 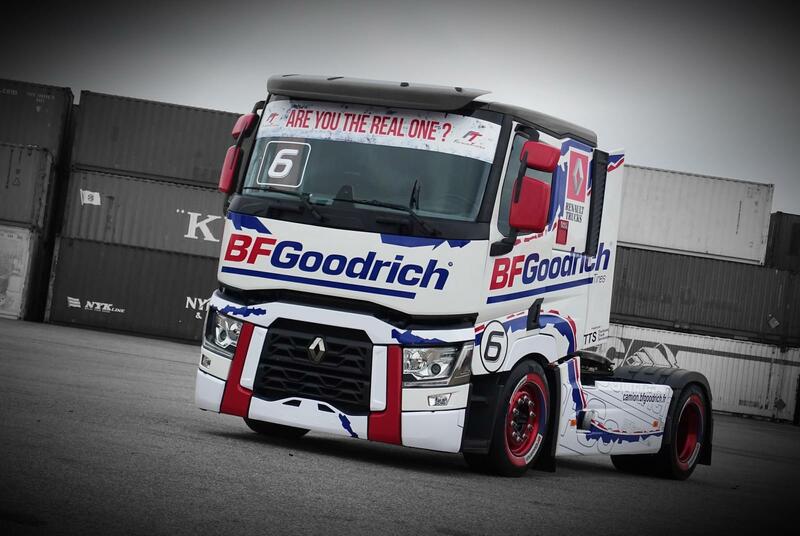 After a successful essay on BFGoodrich® company’s track in June 2017, the Formule Trucks prototype was prepared in Toulouse by the TTS team, well known for their expertise in trucks race manufacturing. This new monotype competition will bring to drivers a fast and powerful vehicle which will be also accessible to all in the same time. The ambition of this new competition is to be an official Championship in 2019, as a additional race of the FFSA French and FIA European Championships. Before that date, some shows should be planed during the French Championship rounds. In giving the opportunity to everyone to initiate to truck races, The Formule Trucks will be a gateway to trucks races competition as we know now, and it will also offer a new show to truck races visitors. Finally, the Formule Trucks will also be a new marketing tool for company engaged. In fact, each competitor will run with his company colors, invite customers or even challenge his employees on trucks race modification and maintenance. Currently being set up, the Formule Trucks company will be the official Formule Trucks promoter, in charge of the organization and the promotion of this new monotype competition and an events organization partners. The Formule Trucks prototype covered with BFGoodrich® colors is exposed at the main Entrance of Solutrans trade (Eurexpo, Lyon) from 21 to 25 November 2017. For any further information, meet us Stand 2 A 101.